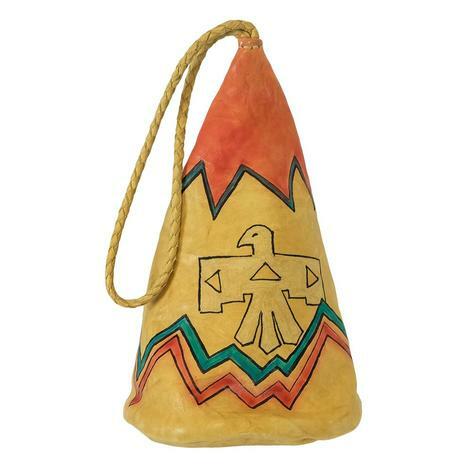 The lightweight easy to carry thunderbird teepee bag from Totem is all you need for those few choice items to tote along with you. Lovely soft leather with a thunderbird dead center. Hand painted and braided leather handle strap. 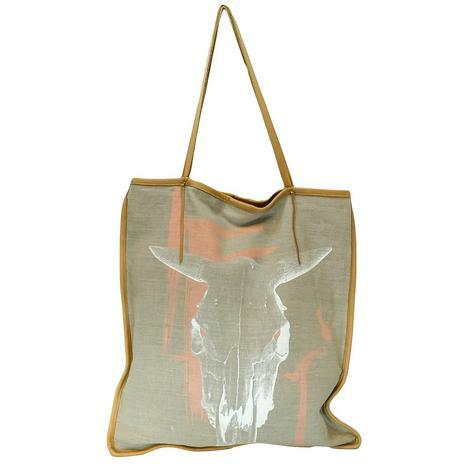 This Tote is perfect for any country girl! The classic steer skull look is always an attention grabber. With its nice size you can take it anywhere and always look your best while carrying everything you will need! 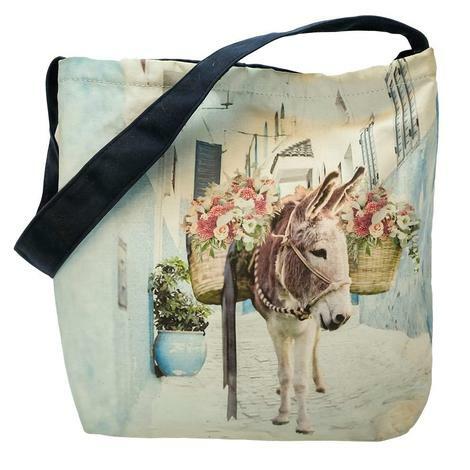 Sweet little burro bag with blue hues and soft flowers make this totebag just the ultimate to stow away your goodies. 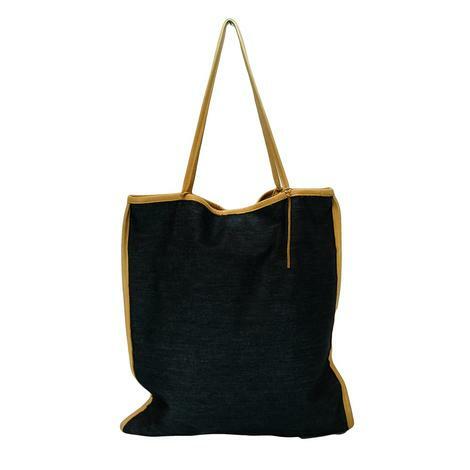 One sturdy cloth strap in black for your shoulder and an inside pocket with cloth lining. Cute as a burro! 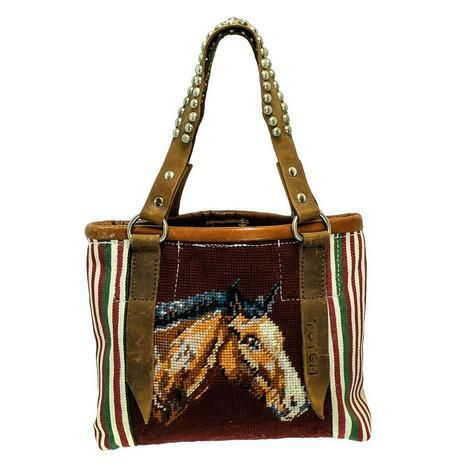 Exquisite needlepoint horsehead bag with great bling stud straps. Ladies, this is a medium sized bag with plenty of room for all your necessities. Double wide studded leather straps for convenient shouldering and a rustic look. The body of the tote is an intricate patterned needlpoint horse head with maroon shade cloth bordering the centerpiece. Leather topped edge and magnetic closure. 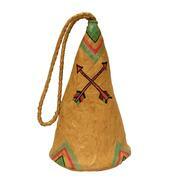 The leather teepee bag is the perfect handbag to accessorize with any outfit, and features a hand painted design by Totem.